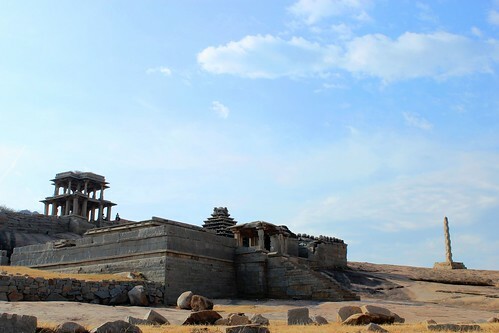 Hampi sits on the banks of Tungabhadra River in Karnataka State and houses the ruins of the great Vijayanagar Empire that once was. The ruins have been declared a UNESCO World Heritage Site and offer a window to its glorious past. 1. There is just so much to see and learn about! 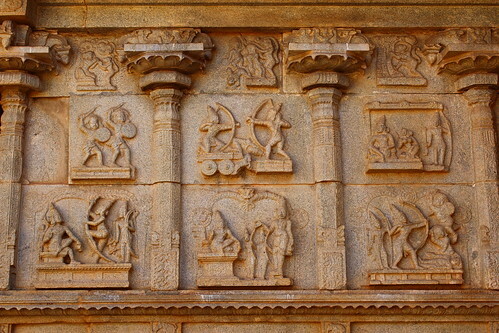 You can visit Hampi, hire a guide and wander around but on each visit, it will still surprise you with symbols and carvings you might have missed earlier, the meanings of which will leave you with a new history lesson. 2.You need time to admire its beauty! The magnificence of Virupaksha Temple, the beautiful design of the Lotus Temple and the grandeur of the Elephant stables are there to catch the eye of every visitor. 3. Learn how they did it! You need to go and wonder at the time when the ingenious architects laid down techniques for rain water harvesting or about that king’s balance where the king would weigh himself against gold, gems and precious stones and distribute among his priests. Each hill, site and temple has several stories of its own. Give them their due time. The pic above is at Malyavanta hill where according to Hindu mythology, Lord Ram waited with Lakshman for the monsoons to get over and they could continue on the search operation for Lady Sita. 5. So many boulders and trekking routes! 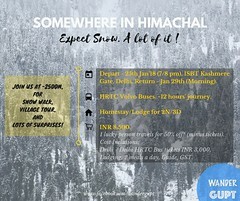 It has a lot of trekking sites for you. 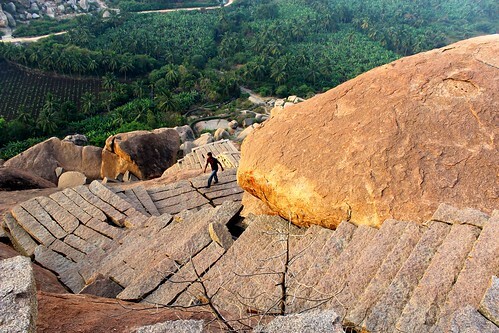 Start your day trekking to any hill, climb the toughest of boulders and explore your way back! Meet travellers from round the world, listen to their wonderful experiences and make great friends! If you are lucky, you get to experience the impromptu dance or music performances by visitors who make an air of traveller-family all around. You have the option of choosing the hill from where you are going to watch the beautiful Sunrise and Sunset today, and the list is not going to exhaust soon. You can sit for hours and gauge the vastness of the boulders from Anjaneya Hill or the Malyavanta Hill or Matang Hill or many other spots. 9. Need some solitude? Get tonnes of it here. 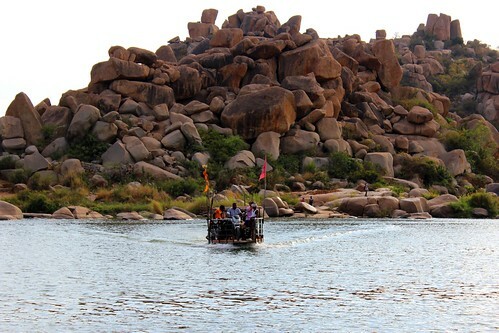 Hampi offers you the calmness of Tungabhadra River and the historical sites where you can just sit down with that unfinished book of yours and have your way. And if that’s not all, you always have monkeys to keep you entertained. Learn a thing or two from them, yeah? Camping solo on a Beach - Little did I know! Nice pictures! 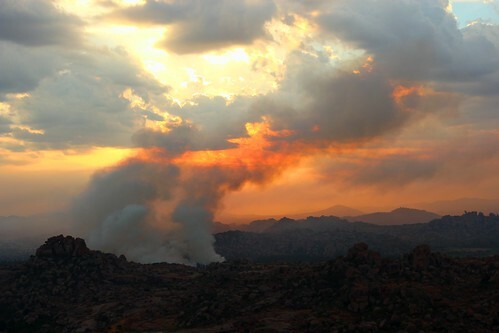 Hampi is on my radar now. This place looks amazing!!! Thank you for the nice post! Yay! Cheers to me. 🙂 I look forward to your post on it then! Jatin,u forgot to add the lovely international vegetarian cuisine available there. I was skeptical abt getting vegetarian food there and was quite surprised to know that only vegetarian food is available there and what a variety it was.few of the israeli and lebanese dishes were amazing and there is so much variety….yearning to go once gain. Thank you so much! Being a solo traveler, you are going to love it even more. 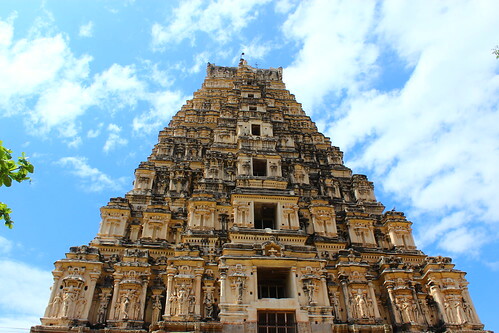 I’m going back to Hampi in a month! Can’t wait! Hey Mr. Smiley 🙂 !! 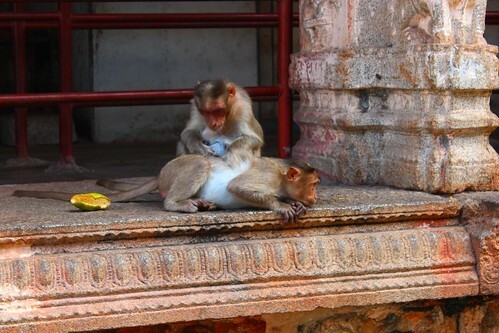 Loved your post on Hampi. 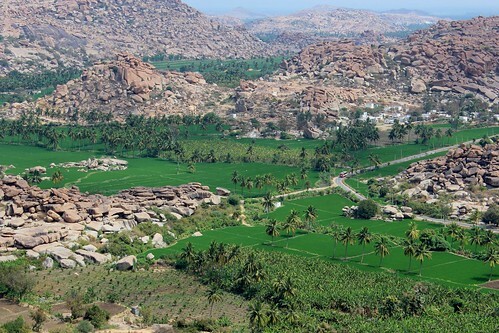 I would love to visit Hampi one day. HIstorians say that the konkanis GSB (am a konkani) lived there . (probably my ancestors). 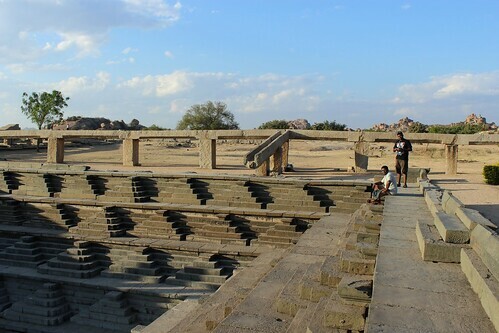 Planning a trip to Hampi this month…the pictures and post now inspires me to plan a slow trip to experience the place completely. I can understand. I can go there time and again and do nothing! Great! 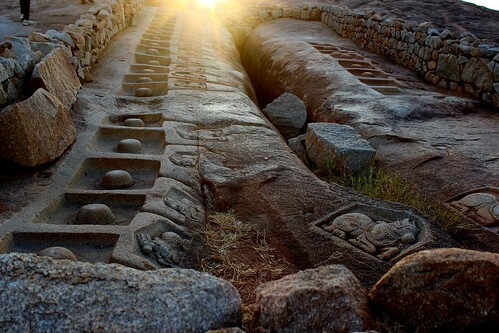 I can visit Hampi anytime. Too bad I live so far away. Just a fantastic blogpost! Thanks for sharing.